• 195 flights per week during peak season, up 5% from last year. • 33 flights will operate on Saturdays alone, the busiest travel day. 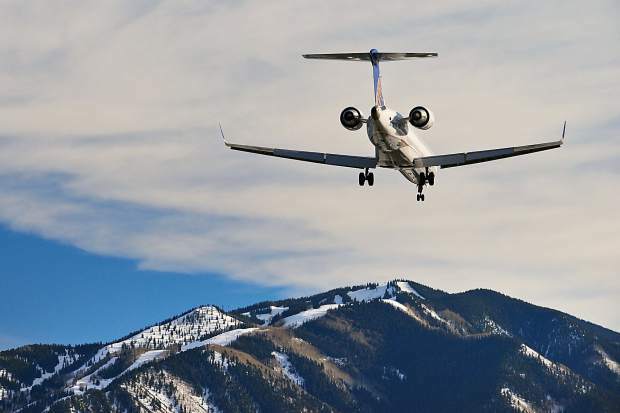 Thirty-three commercial airline flights flew into the Aspen-Pitkin County Airport on Saturday — more than any single day since the 1997-98 season, according to Bill Tomcich, president of Stay Aspen Snowmass, a central reservations agency for the area. In addition, the service Saturday “may quite possibly be the most number of seats flown into (Aspen) on any single day since winter ’93/94, back when Continental used to fly up to 20 flights daily from their then-Denver-Stapleton hub,” Tomcich wrote in a memo to lodge operators. Tomcich is the business community’s liaison with the airline industry. All the air carriers use planes with 66- or 70-seat capacity, according to Tomcich. The weekly total of seats into Aspen will be up roughly 5 percent for the busy holiday period, he said. For the season, the number of seats will be up about 8.7 percent, based on current schedules, he said. The peak-season schedule runs from today through Jan. 5 with 195 flights each week. That is up 5 percent from the 187 flights per week during peak season last year. 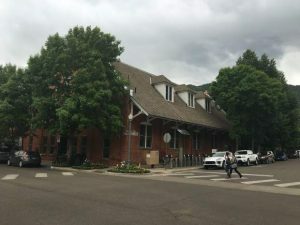 Each week during the peak, United Airlines will fly 73 flights into Aspen from Denver, 27 direct flights each from Los Angeles, Chicago and Houston and 12 direct flights from San Francisco. American Airlines will fly 13 flights per week from Dallas-Fort Worth and another seven from Los Angeles during peak season. Delta Air Lines is adding seven flights per week from Atlanta and two from Minneapolis. The three carriers are combining to offer the same number of flights on Wednesdays and fewer flights on Thursdays, but activity on every other day is increased during peak season. Plus, they know where their bread is buttered. The airlines are offering 33 flights on Saturdays during peak season compared with 28 last season. “The airlines have done a phenomenal job of fine-tuning their frequency to meet our market’s fluctuating demand, and those exact schedules continue to evolve,” Tomcich wrote to the lodging community. The airlines are letting free-market factors sculpt their schedules. 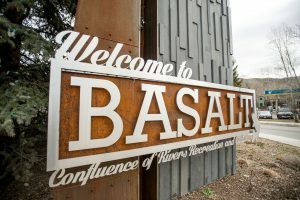 They aren’t getting subsidies for operations from the Aspen and Snowmass Village business community, Tomcich said in an interview. “We avoid what’s called ‘MRGs’ that other resorts are doing,” he said. MRGs stand for minimum revenue guarantees, where communities and municipal governments guarantee an airline will make a certain amount of revenue off a flight, and if the flight falls short, the community group steps up to pay the airline the difference. Such programs are in place in Eagle County; Telluride/Montrose; Jackson, Wyoming; and other small mountain airport communities. The Aspen and Snowmass Village business community did provide American and Delta airlines with one-time subsidies for their start-up service in a prior year, Tomcich said. That aid was oriented toward marketing help. Many other ski-resort towns provide an ongoing payment to help with airlines’ operations. During the midwinter lull from Jan. 6 through Feb. 11, the airlines serving Aspen will scale back flights to 24 on Saturdays and 154 per week. That’s down slightly from last year. The flight schedule ramps back up from Feb. 12 to the end of March with 32 flights on Saturdays, compared with 29 last season and 194 weekly, the same as last year. For the season, there are 587 commercial flights scheduled into Aspen from Thursday through May 5. There were 579 over the same period last year. The biggest difference is that the airlines are offering more flights on the busiest days this season. 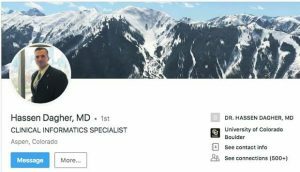 Tomcich said the airlines have also invested “heavily” to provide better ground transportation service for those inevitable times when weather makes it impossible to fly into Aspen. 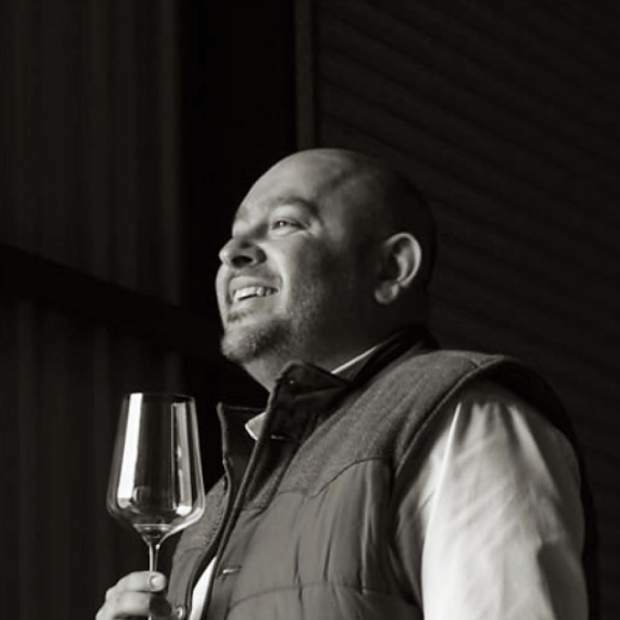 “If guests are on a United commercial flight that either diverts or returns to Denver or if their flight from Denver is canceled, there is a much better chance this year that both they and their bags will be offered ground transportation to Aspen either on scheduled … shuttles or privately chartered vehicles,” he wrote.